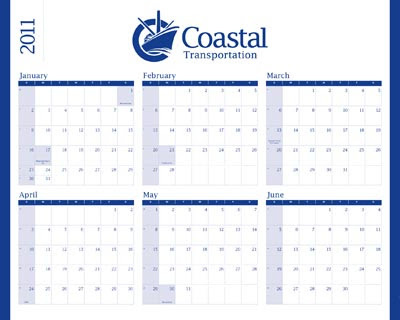 Design Hovie Studios has once again designed the calendar for Coastal Transportation. This marks the 3rd year in a row Hovie has designed the yearly calendar that is sent to Coastal clients around the world. Design Hovie Studios also is the designer of the Coastal Transportation brand and business materials.